Dr. Francis O’Sullivan works on topics related to energy technologies, policy and economics. His current research is focused on unconventional oil and gas resources, particularly the productivity and economics of North America’s shale resources. He also studies global gas market dynamics, and how power systems are evolving to accommodate large-scale generation from renewable resources, particular solar power. He has written and spoken widely on these topics, and has made presentations to the President’s Office of Science and Technology Policy, the EIA, the EPA, the Brookings Institute, the Bipartisan Policy Center, the Center for Strategic and International Studies, the National Governors’ Association, the National Association of Regulated Utility Commissioners, at CERAWeek, the American Physical Society, the American Geophysical Union and to a range of other academic, policy and industry forums. He is a lead author of both the 2011 MIT Future of Natural Gas study, and the 2015 MIT Future of Solar Energy study. Dr. O’Sullivan is a member of the U.S. National Academies’ Roundtable on Science and Technology for Sustainability, and is a Senior Associate with the Energy and National Security Program at the Center for Strategic and International Studies. He has also served as a member of the U.S. Secretary of Energy’s working group on methane emissions and as a member of the scientific advisory board for the Environmental Defense Fund’s methane emissions campaign. 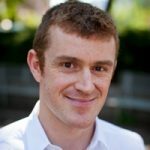 Prior to joining MIT, Dr. O’Sullivan was a consultant with McKinsey & Company, where he worked on engagements that included investment analysis and risk management, strategic planning, and operations in the private equity, oil and gas, electric utility, and renewable energy sectors.